Green Columbus has been organizing Earth Day volunteer events and celebrations for over a decade. Earth Day is a great way to give back, and there are dozens of Earth Day volunteer opportunities during Earth Day Columbus 2019 Volunteer Service Week! The service week will be happening across central Ohio April 13-20 with thousands of volunteers working together to make our communities greener and cleaner. Plant trees, pick up litter, work in public gardens and parks, or pick one of many other opportunities to do your part! After all of the hard work, enjoy a huge Earth Day Celebration at Genoa Park on Saturday, April 20 from noon – 8 p.m. The Columbus Earth Day Celebration features local bands, family activities, eco-friendly artisans and features, plus food trucks! Want to know what it feels like to drive smart? 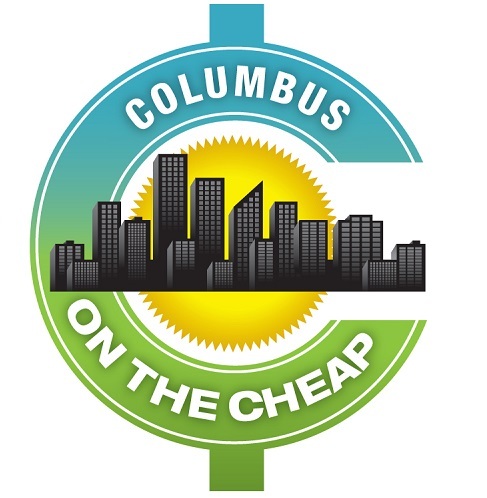 The Smart Columbus Ride & Drive Roadshow is coming to Earth Day Columbus, and you can get behind the wheel of some of the newest electric vehicles on the market and learn how easy, efficient and affordable it is to be a part of the future of transportation in Columbus. The Kids Area will entertain all day with a full schedule of events, from faceprinting to pot planting, and two special musical act: Eric and Michael Frogman. Plus COSI will be there with Science Shows and Hands On Activities. Food trucks and beverages options are listed on the website. Remember – the event is a zero-waste event! Outside street food and outside alcoholic beverages as well as plastic bottles are not permitted within the cordoned area at Genoa Park for the duration of this zero-waste event. Please bring reusable water bottles and food containers. Avoid plastic! Want an idea of some events to join for Earth Week in Columbus? April 12: Large Tree Planting Event (hosted by DHL Supply Chain): This large service site in Westerville, Ohio, will include over 70 volunteers from DHL Supply Chain as well as The Fisher College of Business at The Ohio State University working together to plant 1,000 tree saplings. This year, DHL Supply Chain donated $17,600 to Green Columbus, providing a total of 6,000 trees to be planted at various service sites throughout the volunteer week. April 13: Scioto River Cleanup (hosted by Sierra Club Central Ohio): As a community, it’s important to care for our river and keep it clean. Trash traveling downstream gets caught up on the riverbanks of the Scioto, littering our city and impacting wildlife. This cleanup day will be focused on litter removal from the river and river banks. Lunch will be provided by Falters Meats. April 17: Earth Day Electronics Recycling Drive & Community Shred (hosted by Integrated Building Systems): Central Ohio community members are invited to bring unwanted (working or nonworking) electronics to the 7th annual Earth Day Electronics Recycling Drive to recycle them and prevent harmful elements from ending up in the environment. Up to five boxes of paper shredding per person will also be accepted. There will be a taco truck on site. April 18: Fruit & Vegetable Planting at Urban Farm (hosted by Four Seasons City Farm): Volunteers will participate in garden preparation and plant fruit trees, berry bushes, strawberry plants and vegetable seedlings in the Four Seasons City Farm’s award-winning urban gardens on Mound Street. Volunteers will be sent home with strawberry and tomato plants. Want more Earth Day fun? Find a big list of Earth Day celebrations and freebies here!